The quality of smartphone cameras has been steadily improving in recent times, with more and more people starting to use smartphones to generate high-quality video content. We brought you 10 useful Tips for cinematic smartphone videos in the past, but I think we will continue to see huge progress in smartphone videography in the coming years. This means more smartphone-oriented filmmaking accessories will start making an appearance. DreamGrip is a Hong Kong-based company but with offices in Vancouver, Canada, and have been developing their smartphone rig since August 2015. After testing their first prototypes during the past year, they are now taking pre-orders. 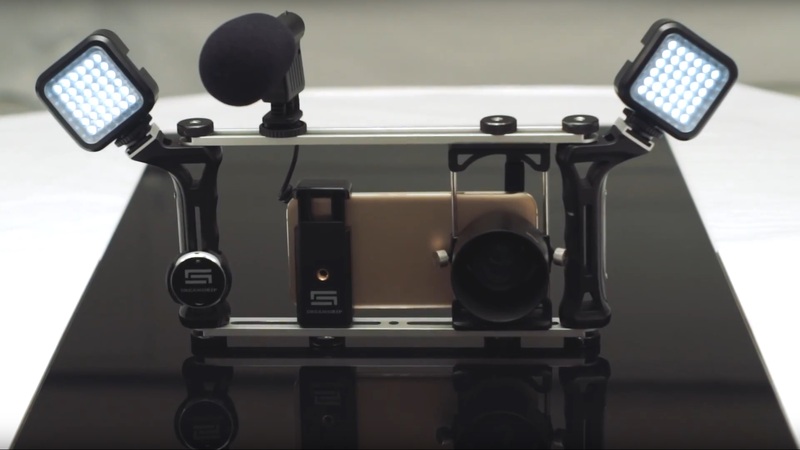 What does the DreamGrip smartphone rig offer you? Adjustable lens mount, so you can use any smartphone. A variety of lenses: Fisheye, Wide Angle, Telephoto x2, Telephoto x3. Bluetooth wireless remote with free app for Android and iOS. Two cold shoe mounts on the handles. Additional mounting possibilities through ¼” – 20” mounts and screws. Adapter with a 52mm CPL filter. One of the issues when filming with a smartphone at high resolutions while using Bluetooth is of course battery life. While I am not sure where you could mount a powerbank on this rig, it seems like it could accomodate one of those power cases for extra battery life. These are not available for all smartphones, though. Below is a short promotional video filmed with Samsung S6 and S7 mounted on a DreamGrip smartphone rig. I personally feel like some of the clips could have been more stable, and many of the shots in the video also rapidly lose sharpness at the edges – probably due to a wide angle lens mounted on the smartphone camera. Have a look and judge for yourself. 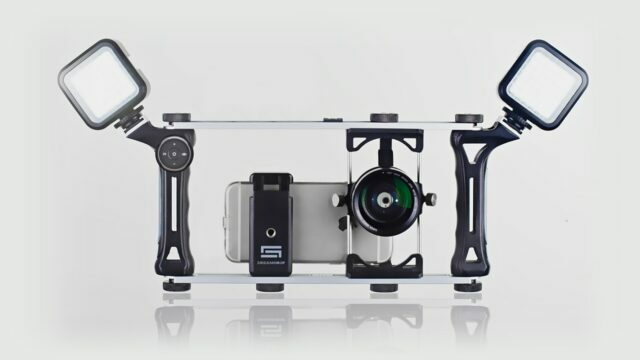 The pre-sale campaign for the DreamGrip smartphone rig started on Friday last week. If you are really keen on getting one, head over to their IndieGoGo site and back the project. The first 250 backers will receive the basic DreamGrip package for 69 USD + shipping. The offer goes through various versions, reaching the Professional Package for 299 USD + shipping which includes the basic rig with accessories plus all the lenses, a shotgun microphone, 2 LED lights and a dolly. Delivery of the first units is expected to be in early February 2017. DreamGrip will also be present at the Consumer Electronics Show in Las Vegas, January 5 – 8th. 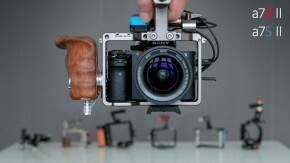 If you plan on visiting CES, you will most likely be able to get a hands-on test of this rig. What do you see as the best feature of this rig? And what do you think about the future of smartphone videography? Let us know in the comments below. Thanks for the feature cinema5D! !